Philanthropist and community entrepreneur Brenda Smith will receive the 2018 UCCS College of Business Lifetime Entrepreneurship Award at a May 18 campus luncheon. The 10th annual award ceremony will take place at 11:30 a.m. in the Gallogly Events Center. More than 450 business and community leaders will attend in celebration of local entrepreneurship and innovation. While Smith prefers to keep to her work behind the scenes, she has made prominent investments within the Colorado Springs community. In 2013, an investment group headed by Smith and her partner Judy Mackey purchased the Garden of the Gods Collection, with expansion projects that are currently underway. With such success you would be surprised to find that Smith comes from humble beginnings. She was raised by a single mother from the age of two and found herself competing in a house with six brothers. Her upbringing sparked a sense of dedication and persistence that carried with her into adulthood. Smith paid her own way through school at UCCS to achieve her accounting degree, often being the only female in her accounting classes. 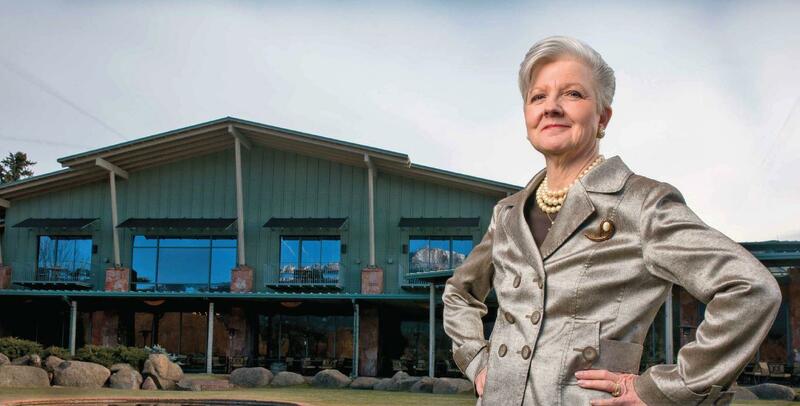 Smith spent more than 36 years at BKD, LLP in Colorado Springs, where she became the first woman to be appointed managing partner and the first woman to be elected to the company’s governing board. Her many and various charitable pursuits include founding the Colorado Springs Leadership Institute, co-founding the Colorado Springs Chamber Nonprofit Partnership and spearheading the establishment of an endowment in the name of UCCS accounting professor Kirk Wilcox. Smith follows a list of distinguished past award recipients including: Gary Loo (2009), Bruce Shepard (2010), Joe Woodford (2011), Cari Shaffer (2012), Chuck Murphy (2013), David Jenkins (2014), Jon and Becky Medved (2015), Ed and Mary Osborne (2016), and Lyda Hill (2017). The award luncheon is a fundraising event to support the College of Business and its alumni and student initiatives including a mentorship-focused Career Coaching Program. Tickets are $150 for the public and $95 for College of Business alumni. Registration is available at www.uccs.edu/LEA or by calling (719) 255-5174. Dean’s Circle sponsors of the award luncheon include BKD, LLP; Garden of the Gods Collection; Gray Line Tours of Colorado, Inc.; Luisa Graff Jewelers; Nunn Construction, Inc.; Penrose St. Francis Health Services; Lyda Hill; Charles and Brenda Smith; and Winslow BMW of Colorado Springs.